Oasis Academy Hobmoor was in special measures with high levels of exclusions. The headteacher, Paul Tarry1, introduced Sleuth to identify and better understand the issues that they needed to address and to monitor the impact of their strategies to improve. In this case study he explains how Sleuth has supported their approach to school improvement. 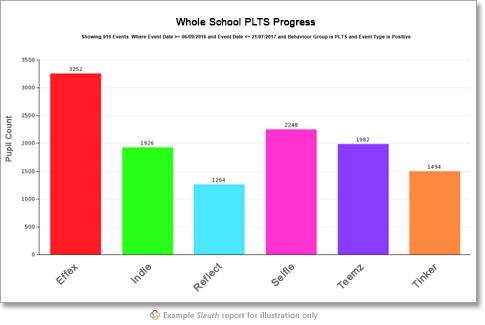 “We needed to introduce more intelligent systems to support us and Sleuth has enabled us to empower teachers with the information they need to know what’s happening with pupil behaviour. Prior to Sleuth we had a paper-based system of detentions and with folders kept in different rooms; if you wanted to know about a certain child, you’d have to find the folder and look through page by page. “Sleuth has informed decision making across the school at a whole variety of levels. 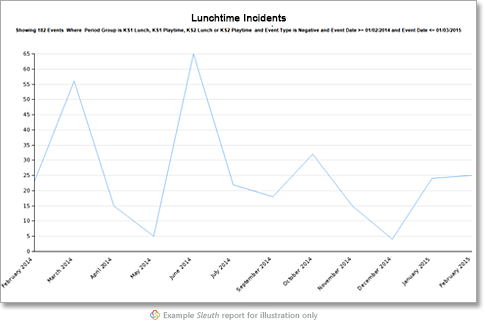 “As a leadership team, every week each phase leader reports back to the rest of the leadership team on the incidents recorded on Sleuth and behaviour in the phase and we discuss any particular as a team. We have adjusted the way that we run and manage the school significantly a number of times because of what Sleuth has been telling us. Sleuth is also really helpful in terms of reporting on behaviour to our academy council each half-term and showing what we’re doing to make a difference for the children. “Lunchtimes are a good example of where Sleuth’s helped us plan strategically at the whole school level. Sleuth quickly told us that the system we inherited of detentions at lunchtime wasn’t working. We could see it was the same children for the same things over and over again. By analysing the patterns of the behaviours at lunchtimes in more detail, we noticed different trends which we wouldn’t have picked up otherwise, it enabled us to have that conversation, What do we need to change here? We’ve got a problem. “Sleuth encouraged us to look at our provision, what we were doing; we now see lunchtime as a key learning period during the day and have introduced various different strategies to interact with the children and engage them. “Sleuth is helping decision making at a teacher level because they are able to reflect upon their own practice, it helps teachers in their planning and delivery. If you talk about great feedback, the bullseye of feedback is telling you something you didn’t already know and Sleuth has shown several of our staff things they didn’t know about their class. They felt like they had problems with certain things and at certain times, but actually the collection of the evidence in Sleuth has helped teachers to see things in a different light and they’ve been able to shift their practice and to change in view of that and that’s been really helpful. So Sleuth has shone a light on some blind spots, really. “Ofsted inspectors were impressed to see the systems that we’ve got through the school and the fact that we were right on top of behaviour and know how to improve outcomes for children. We were able to prove that in a whole variety of ways using Sleuth. “Another crucial aspect of Sleuth is supporting our recognition and rewards system. 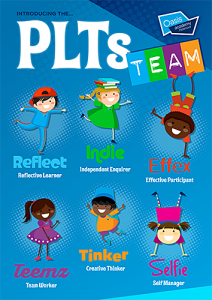 We’re trying to promote positive learning behaviours all the time across the academy using a positive personal learning thinking skills model – PLTs. During lessons, teachers record those children who have done particularly well. So, if they’ve been a reflective learner, we record that in Sleuth. It all helps us track good learning behaviours which lead to certificates for the children. “The children on an individual level can also reflect upon that. They might have been on Sleuth fifteen times in a half term for being an effective participant, but not many times for being a creative thinker so that’s learning for them.